Tag Archive | "V&V Nursery"
The Girl Scouts are doing their part to make Cedar Springs a beautiful place. On May 12, Troop 4482 did a community planting project at the Cedar Springs Public Schools Hilltop administration building. 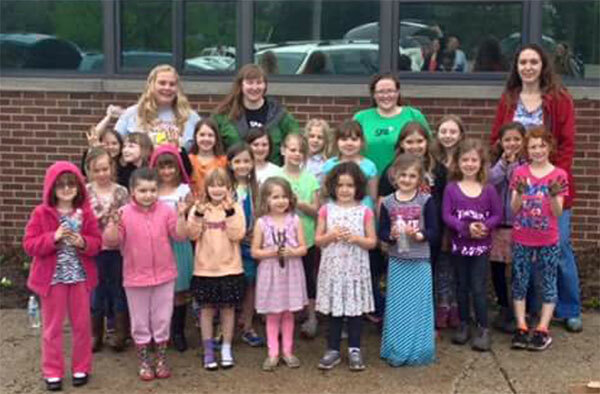 The troop, which is made up of 25 girls in kindergarten, first and second grades, and four leaders, pulled weeds and planted flowers donated by V&V Nursery. This is their second year completing this community service project for the schools. Walk Ody Brook Nature Sanctuary with the Michigan Botanical Club on September 13 at 2 p.m. or with the River City Wild Ones on Sept 20 at 1:30. The local conservation clubs will explore the sanctuary in search for plants, animals, and their ecological requirements while enjoying the company of nature enthusiasts. This will be a great introduction to a couple different nature clubs and great people where many will share their knowledge and excitement for things natural and wild. Ody Brook is managed to enhance nature’s biodiversity to support a healthy and sustainable human community. The sanctuary is located in the headwaters for Little Cedar Creek south of Cedar Springs on Northland Drive across the road from V&V Nursery. Come explore nature and meet nature enthusiasts from local conservation groups. Meet and park at V&V Nursery. Spend some time at the nursery considering fall selection specials on plants prior to winter dormancy. V&V Nursery helps area residents beautify yards and lives. We will start the field trips from the nursery parking area. We appreciate V&V’s willingness to allow parking. Parking space is not available at Ody Brook Nature Sanctuary. Over 116 bird species, 24 mammals, 11 herps and 52 butterfly species have been documented along with 250 species of plants. Dragonflies dart with beauty as they feed on aerial insects. They lay eggs in Little Cedar Creek where naiads spend months to years growing to the adult stage. Trout feed and utilize the headwaters in spring. We will encounter other beautiful insects that are active in the fall. Snowy Tree Crickets, katydids, beetles, colorful flies, and various true bugs are expected. This is an opportunity to view a variety of life and to receive help with identification. Fall flowers provide nutrition for wildlife while plants focus on seed production for their own species survival. 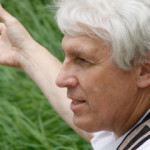 Come learn to recognize plant families and species common to our neighborhoods. Both field trips will be fun enriching afternoons for families. Come for a short stay or for an hour and a half. Trails lead around a pond, through the floodplain, over bridges crossing the creek and through upland field and forest. Wear long sleeved shirts and pants to protect legs. Good footwear is recommended. If it rains prior to field trip days, the floodplain may be wet and somewhat muddy. The sanctuary recently expanded to 54 acres and protects the creek headwaters leading to Cedar Creek, Rogue River, Grand River, and Lake Michigan. This is a great open house opportunity to explore Ody Brook Nature Sanctuary’s expansion. The privately owned and managed sanctuary accepts donation support and welcomes scheduled visits.